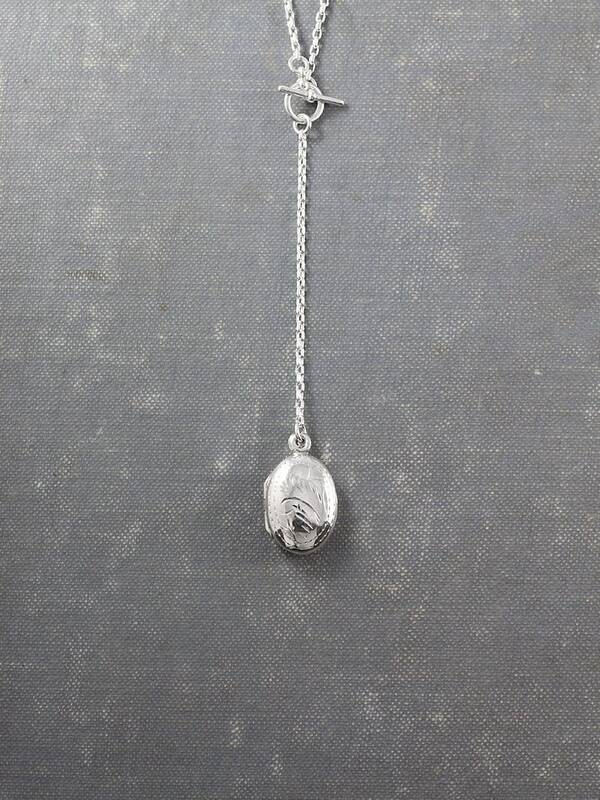 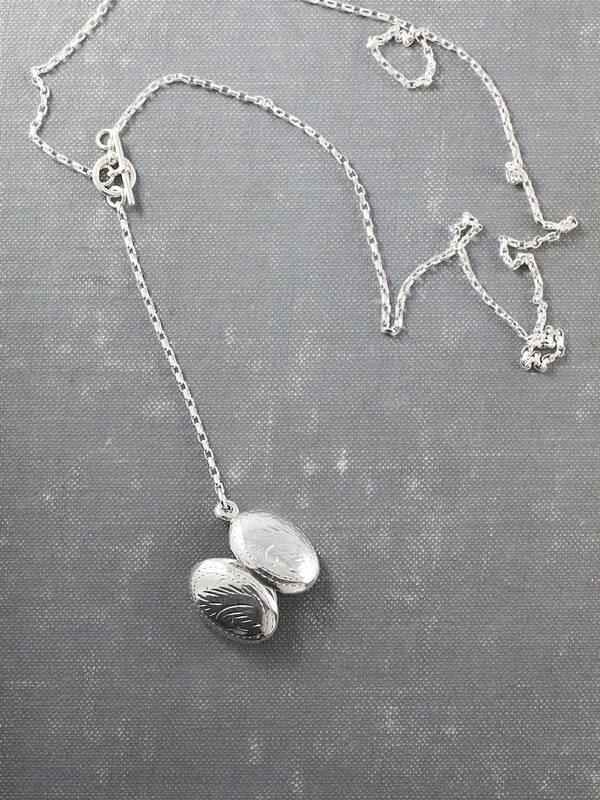 Clean and classic, a vintage small oval locket is engraved on both sides with a timeless vine like engraving. 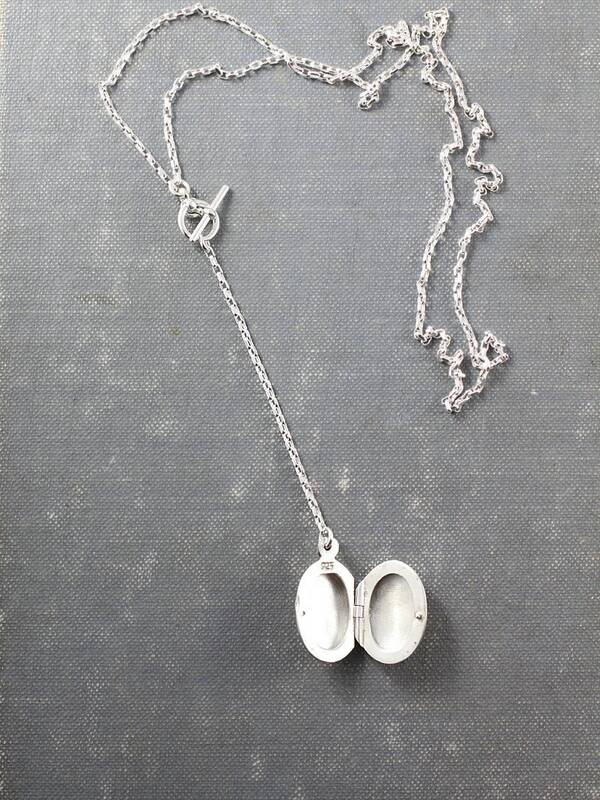 The locket opens to reveal two places waiting to hold your beloved photographs. 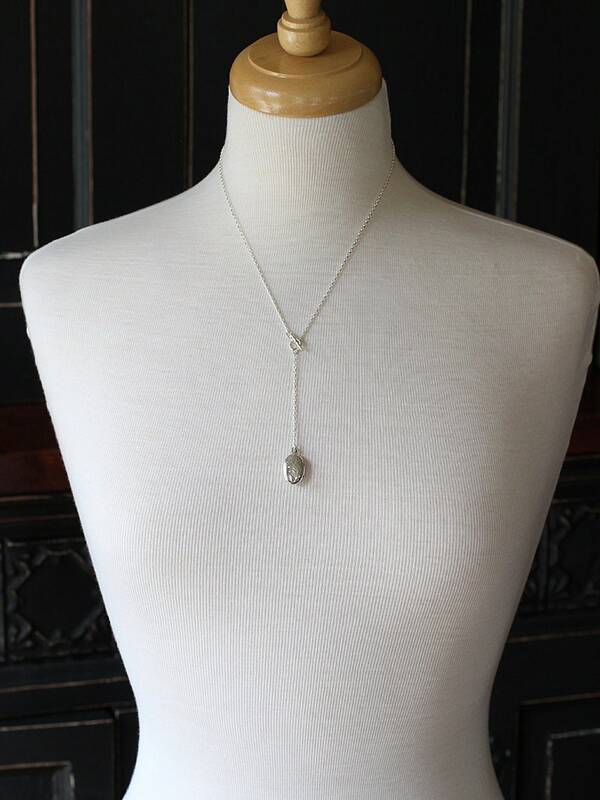 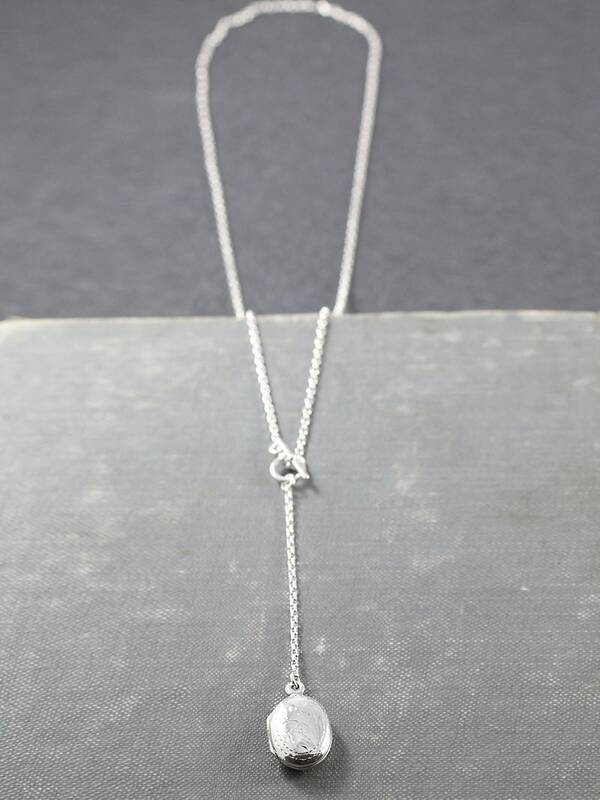 The locket dangles on a lariat style diamond cut sterling silver chain and toggle.